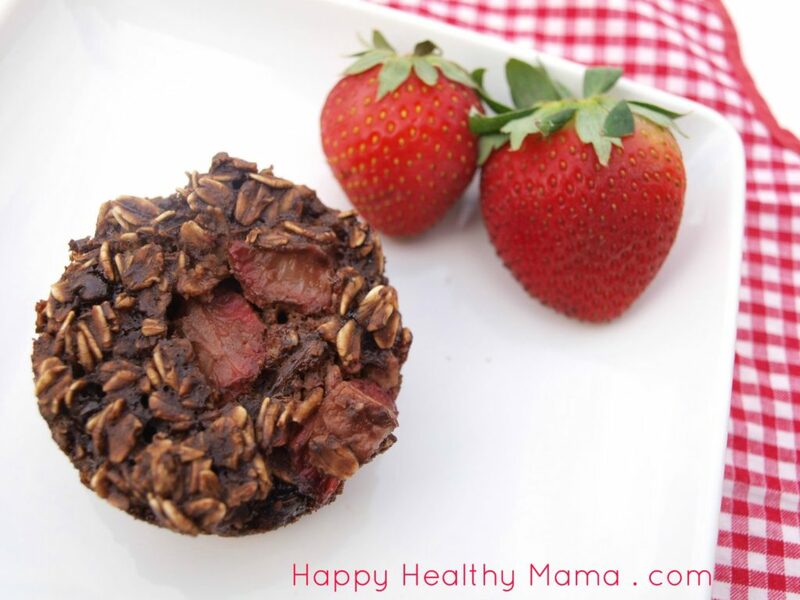 If you do a search on Happy Healthy Mama for “strawberry,” you’ll get eleven pages of results. I have a serious obsession with strawberries and when it’s the time of year where these plump, sweet berries are cheap and in season, I have no problem putting them in everything. 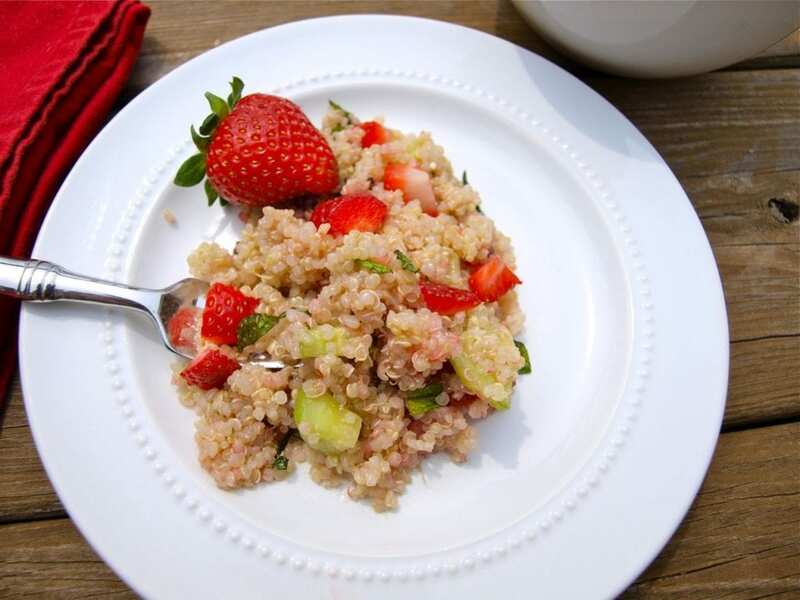 I thought it was the perfect time of year to pull some of my favorite strawberry recipes out of the archives and highlight them for you. Some of these are really old, and the photography reflects that, but don’t judge the recipes on my photography skills. Those old recipes with dark or awkwardly composed pictures deserve your attention, especially if you love strawberries. 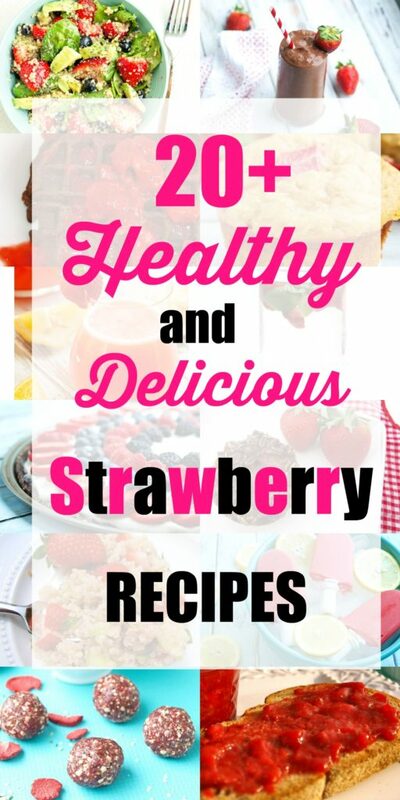 Now, when you buy two pounds of strawberries on sale and are wondering what you’ll do with them all, you have at least twenty recipes to consider. From breakfast to dessert to lunch or dinner, there’s something here for everyone. Enjoy! 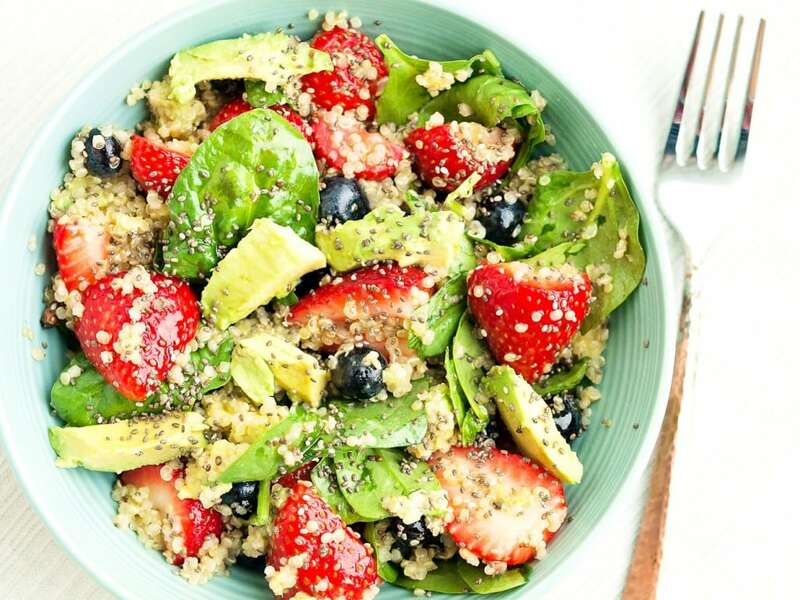 I just love using strawberries in salad. 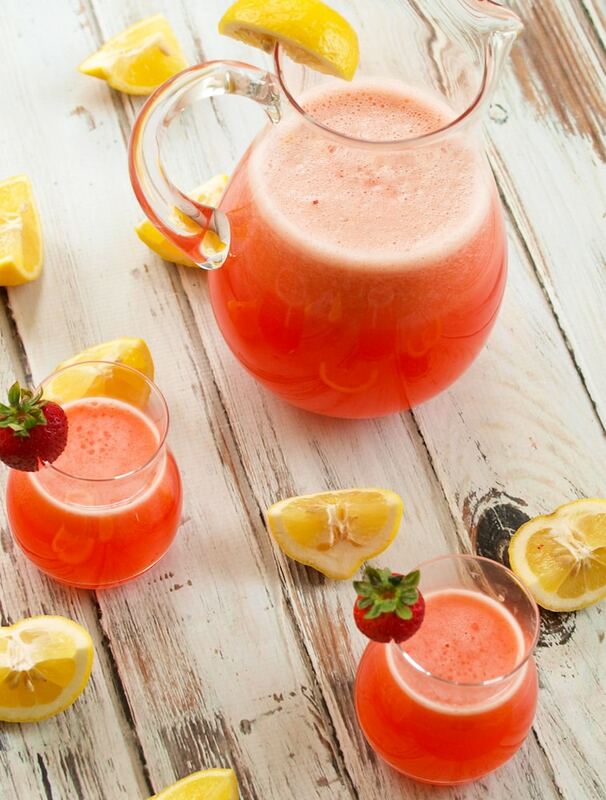 This is one that you’ll make over and over all summer long. Strawberry Shortcake Energy Balls (gluten-free, vegan) These ones have freeze dried strawberries, but I had to include them because they are a family favorite. 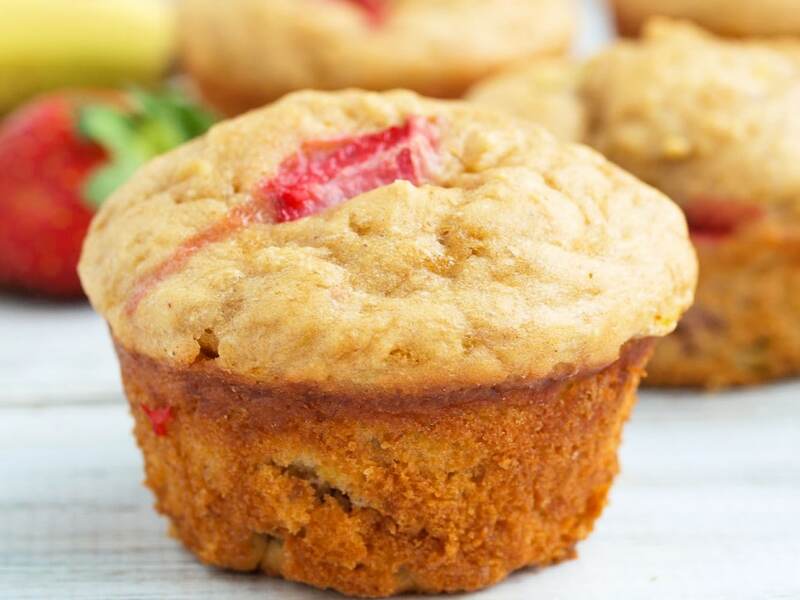 The strawberry flavor is incredible–I’m telling you, these taste like cake! Such a yummy, healthy snack. 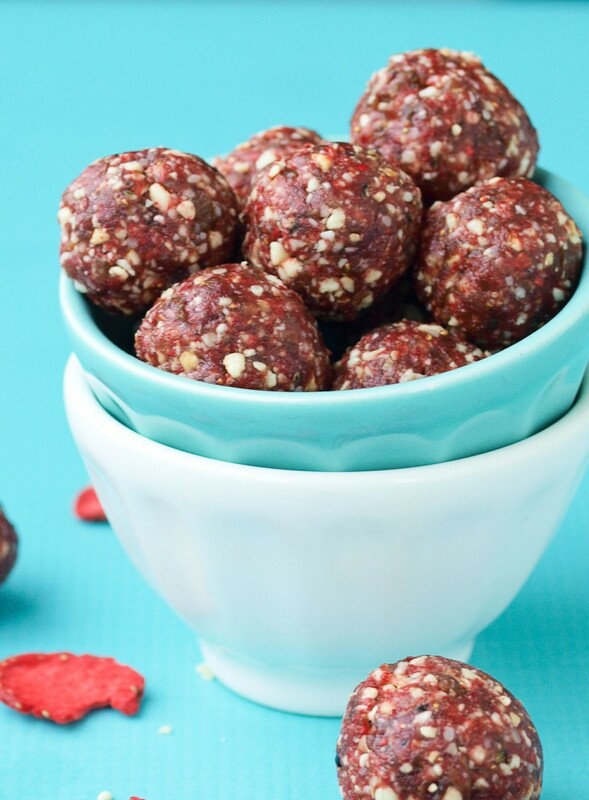 These are perfect for summer and make a healthy and delicious treat! 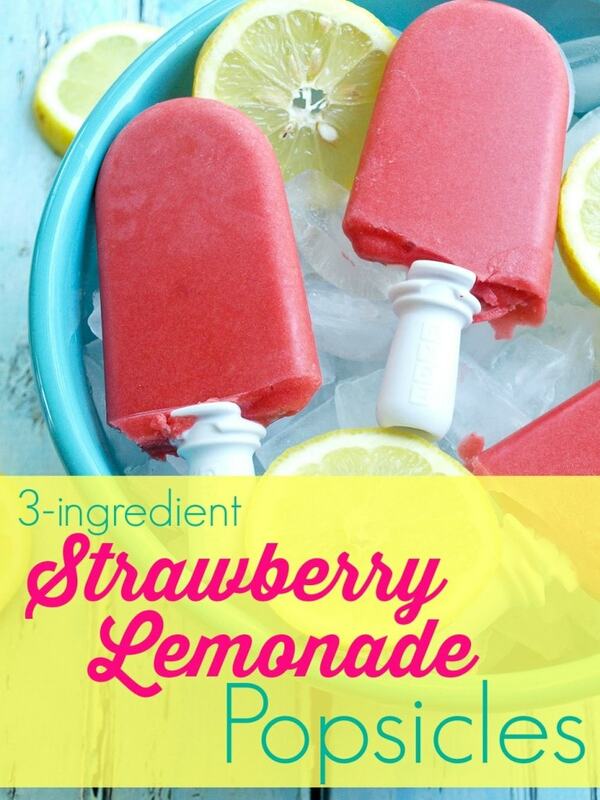 If you have a Zoku Quick Pop Maker, you can have these ready in 15 minutes! 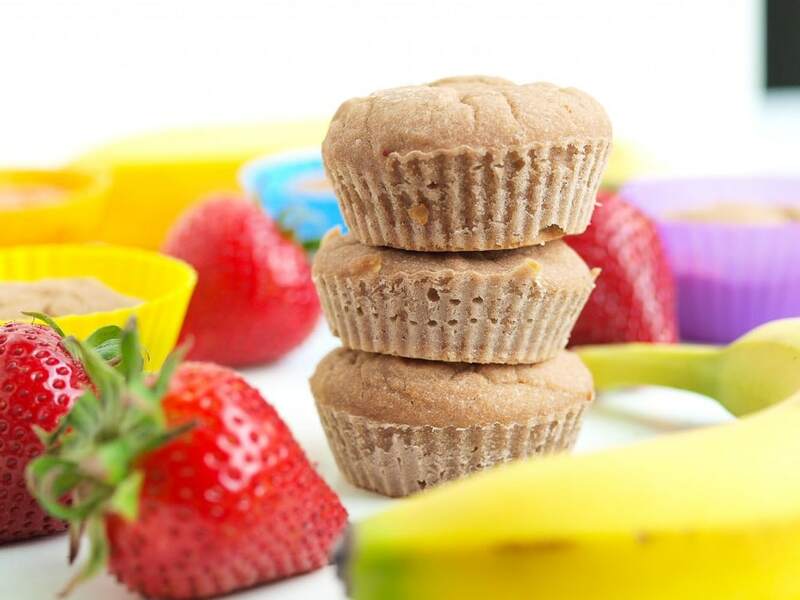 You can make the batter of these healthy muffins in the blender! I love the classic combination of strawberry+banana. 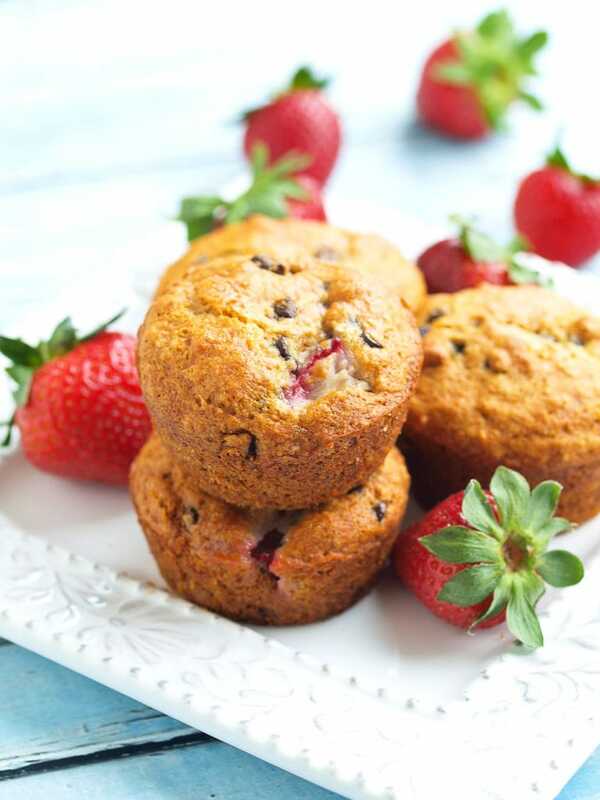 Lots of nutrition in these lovely muffins, AND you can make them without oil if you choose. Plus chocolate. This one is light, refreshing-tasting (it has mint!) and has summer salad written all over it. You’ll love this oldie but goodie. 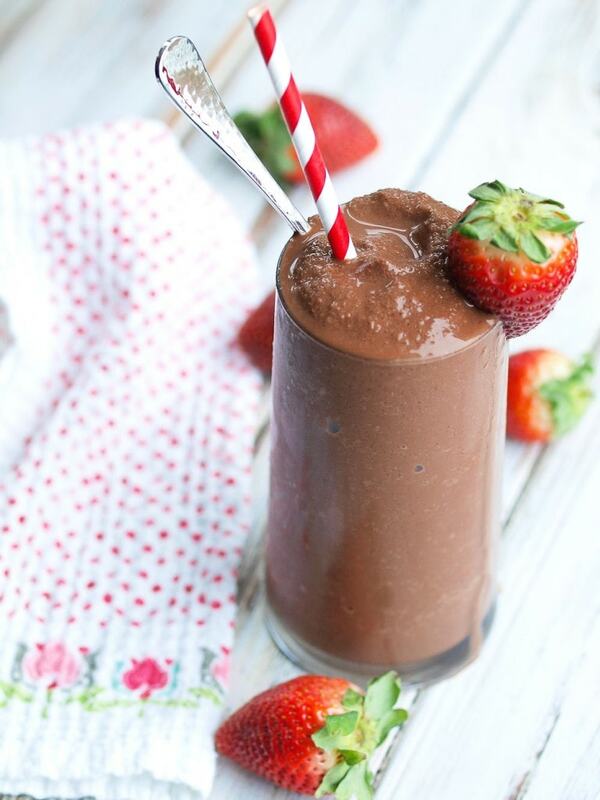 Save the calories and make this when you’re craving a milkshake. Chocolate+strawberries can do no wrong. Tart-sweet and so much fun for summer! Meghan loves to help me make this and it’s a total treat for my family. 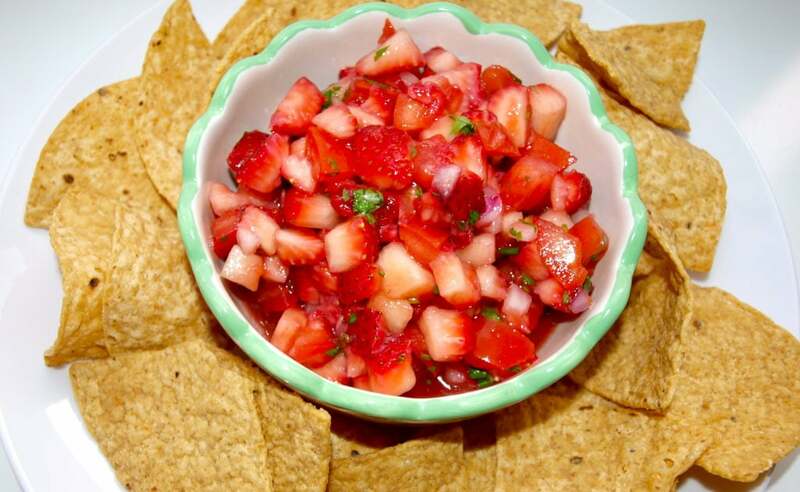 Every time I make this quick and easy appetizer, I get a request for the recipe. 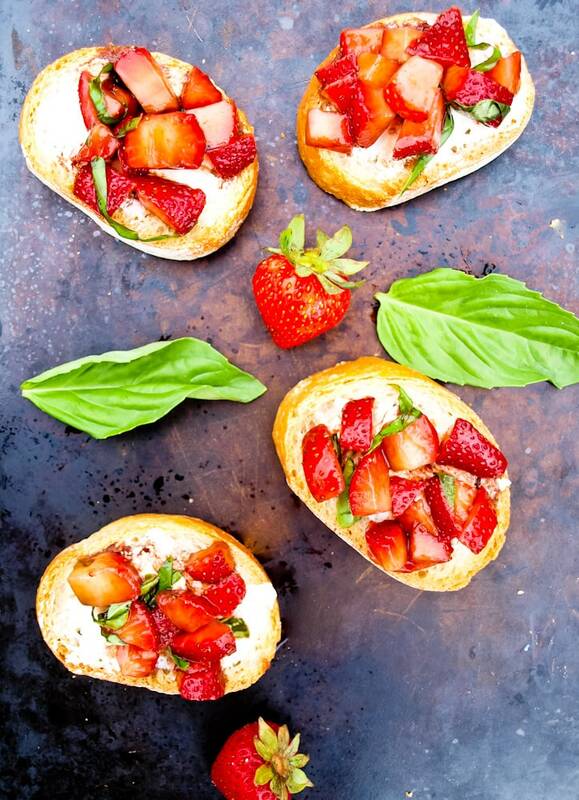 If you’ve never tried strawberry and basil together, try this one for your next party! 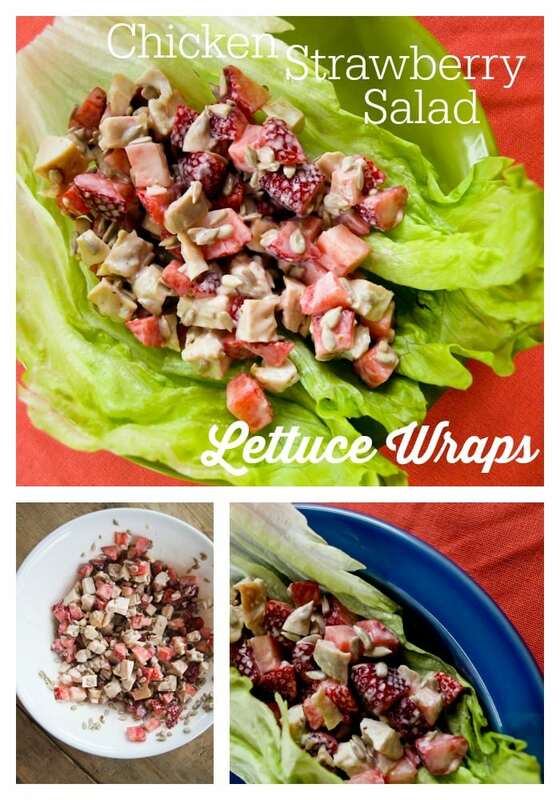 This is a unique and delicious way to make chicken salad! It’s perfect wrapped in a crisp piece of lettuce. I wish I had a baby or wedding shower to host just so I could make this salad. Again with the delicious combination of banana and strawberry. They are low sugar and the yogurt makes them super moist! You don’t even need an ice cream maker for this creamy and almost vegan (sweetened with honey) treat! 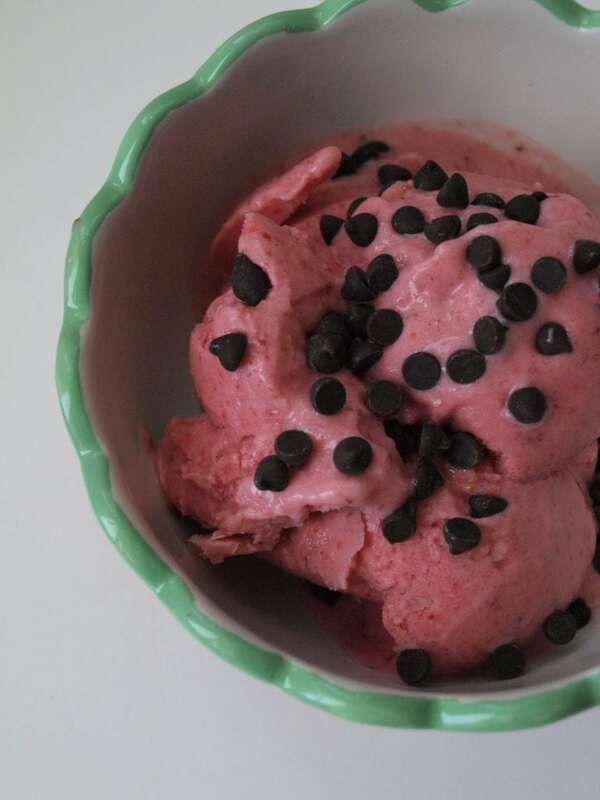 The strawberry flavor shines through here and the whole family loves this. 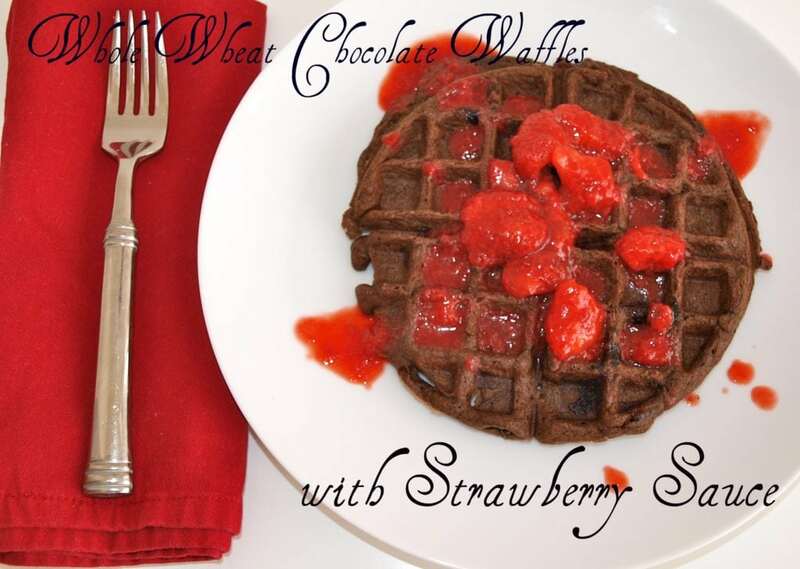 These are delicious enough to be dessert, but we usually have them for special treat breakfasts! They are easy to make in one bowl and super quick. 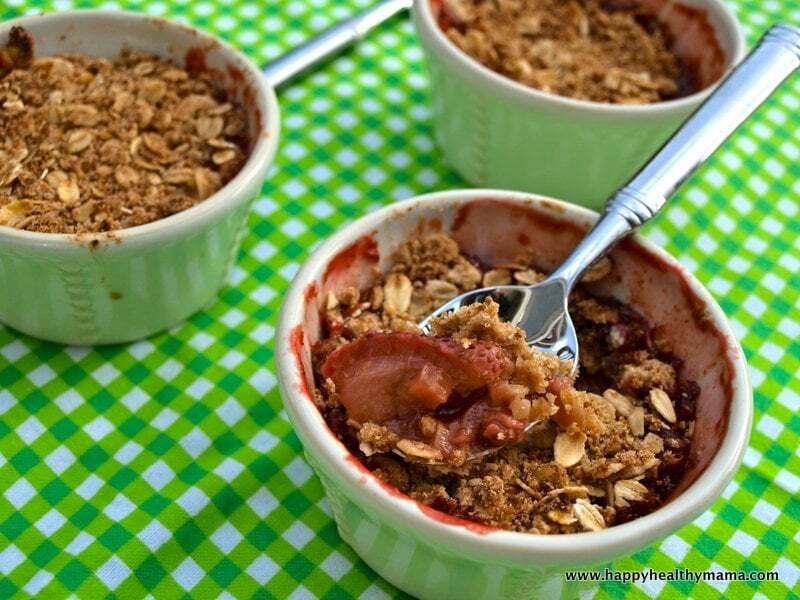 This healthy summertime dessert will have you loving the strawberry-rhubarb combination if you don’t already! This is one of my favorite posts on my whole site, because it highlights one of my favorite memories with Meghan in the last few months before Luke was born. 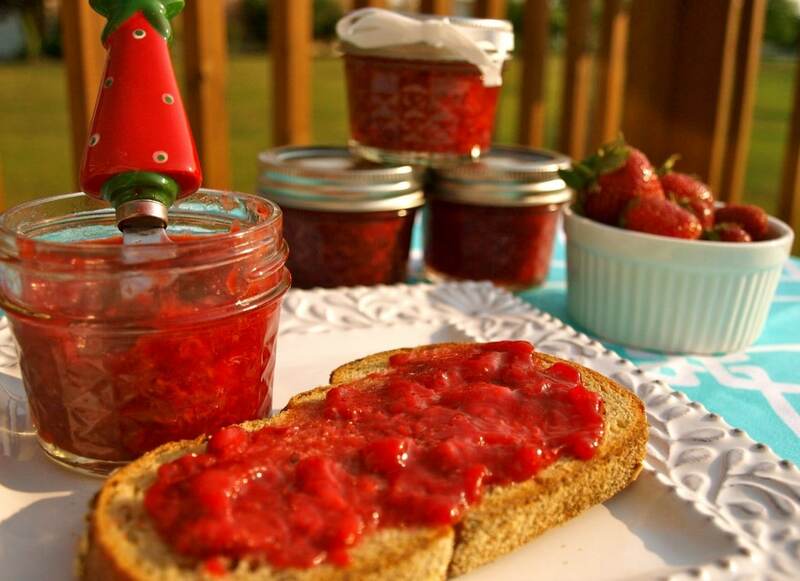 Plus, delicious strawberry jam that’s naturally sweetened and much lower sugar than most all homemade jam recipes. 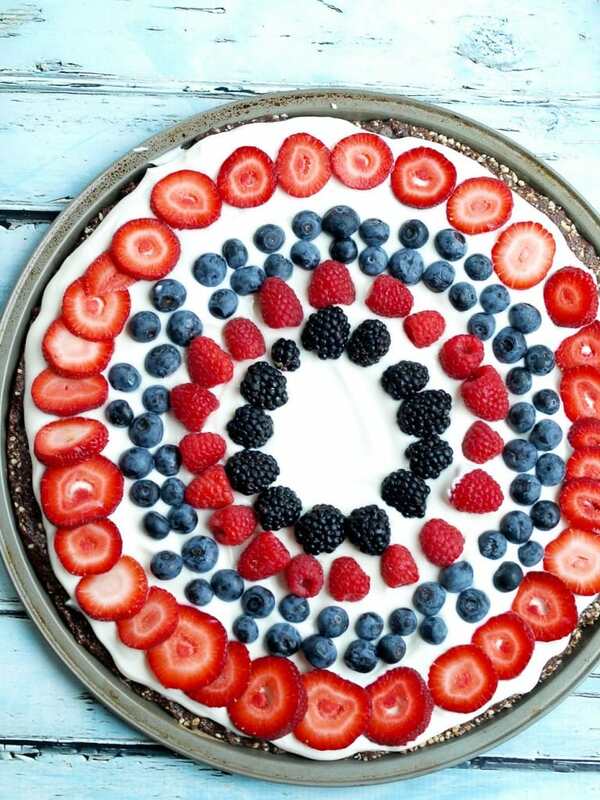 This healthy Fruit Dessert Pizza is one of my favorite treats! The chocolate crust is incredible and all the fresh fruit makes this a perfect summer dessert. See, I put strawberries in absolutely everything! This is for so much more than chips. It’s excellent on top of grilled fish or chicken, too. Doesn’t that photo just scream 2011? No matter, because this strawberry sauce is so good on everything from waffles to pancakes to ice cream. I am telling you, strawberry+basil is awesome. 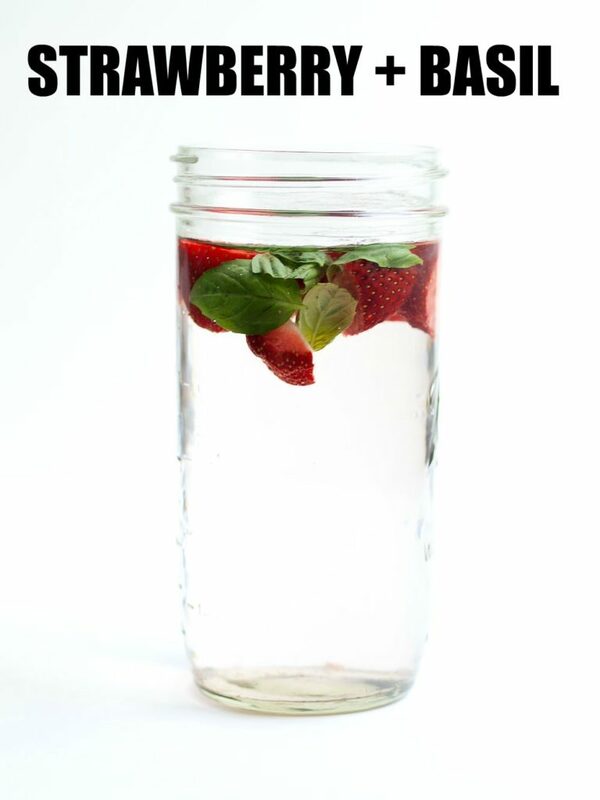 Please try this infused water combination! 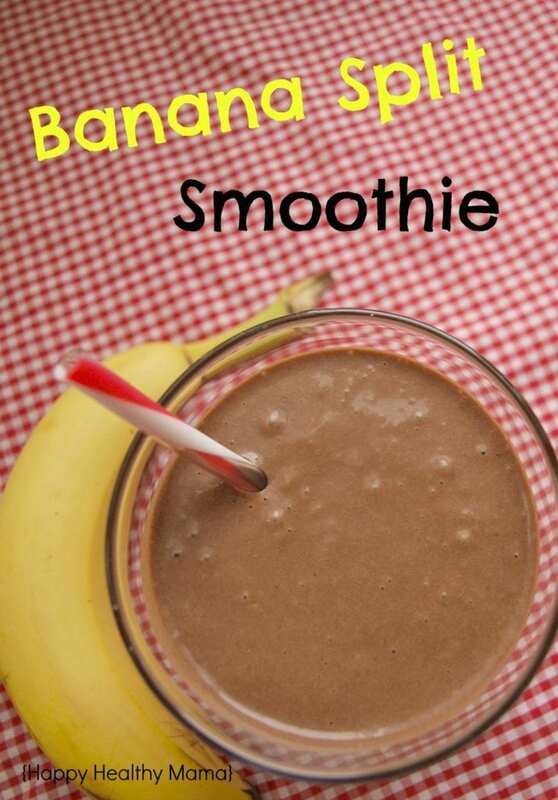 Banana+chocolate+peanut butter + strawberries. Heaven! This one is healthy enough to drink for breakfast, but my kids totally think this is dessert, too. Win. 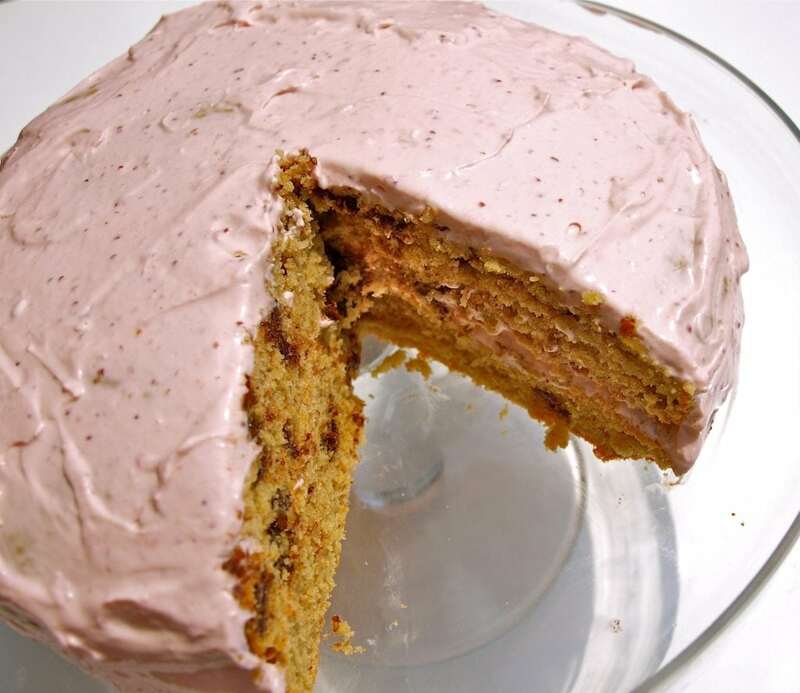 If you are looking for a healthier, low-sugar birthday cake (or any day of the week cake!) this is IT. I hope you enjoy all of these recipes! 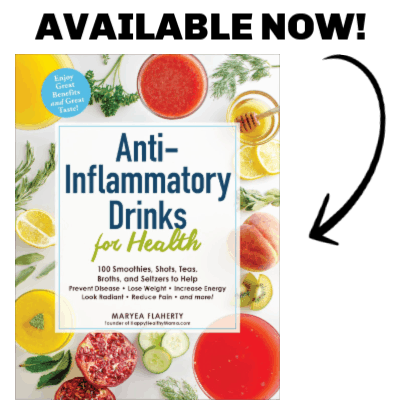 Please let me know which ones you’ve already tried or would like to try! I totally LOVE this roundup! Strawberry Season is one of my favourites. All of these look delicious! Staying on track with a healthy diet and lifestyle can be a real challenge, but options like this make it much easier! These are great ideas! Can’t wait to give them a try! I’m obsessed with strawberries too. Probably my number one favorite berry. It’s a tie between them and blueberries. I want everything on this list! Especially those strawberry shortcake energy balls. So clever and sounds delicious! Thanks Sarah! Every time I make them, my family gobbles them up in a day.